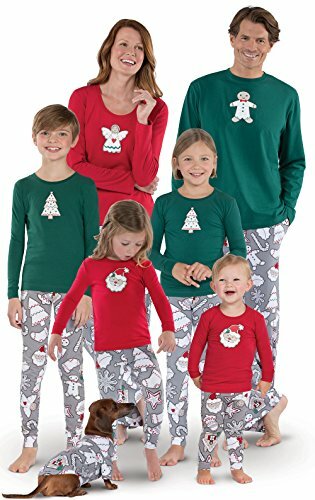 Bring the whole family together for some Christmastime fun with these great holiday pajamas! Everyone can enjoy ''decorating'' the cookies on their pajama bottoms with the included fabric markers. The tops feature four festive Christmas cookie designs: a gingerbread man for men, an angel for women, Christmas trees for boys and girls, and Santa for infants and toddlers (men's, boys', and girls' tops are green; women's, infants', and toddlers' are red). Made of premium cotton jersey with spandex for great warmth, superior softness, and just the right amount of stretch.Cotton sleepwear made of 95 percent cotton, 5 percent spandex jerseyAdult pants have an elastic drawstring waist; men's with a button flyChildren's pants have a flat elastic waistWomen's shirt has a scoop neckChildren's PJs have rib trim at the wrists and anklesChildren's sleepwear sets are snug-fittingDog PJs have a snap placketMachine washableImportedPersonalization and PajamaGram Free Gift Packaging are not available for this item. 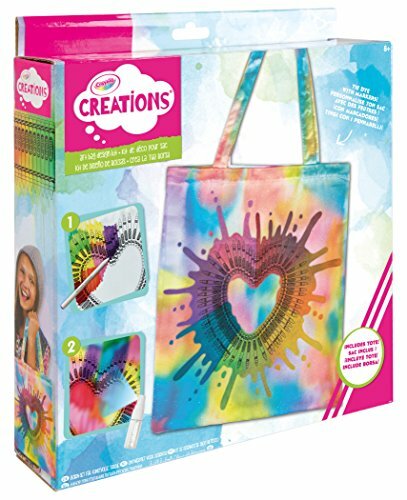 Make your unique mark with new Crayola Creations Art Bag Design Kit by Fashion Angels. With three easy steps you can create a tie dye tote! Using the markers included, color, mist with water, and dry. This tote is the perfect accessory to compliment any outfit! Kit includes a sparkle art bag, spray bottle and markers. 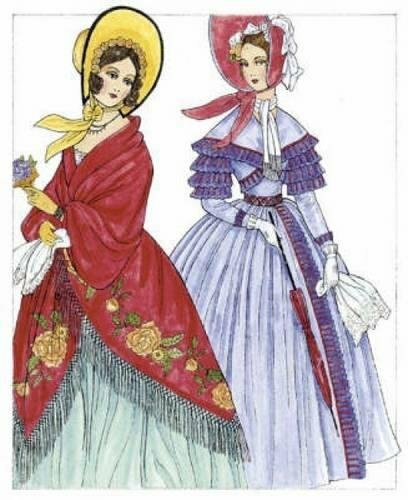 Superbly rendered illustrations, adapted from Godey's Lady's Book, a rare nineteenth-century fashion magazine, provide authentic views of evolving Victorian modes of apparel — from lace-edged necklines and elongated bodices to fitted bonnets and extravagant bustles. Thirty ready-to-color illustrations depict lavish dresses and gowns of velvet and damask; smart riding outfits trimmed with braid and gilt; an elegant cashmere shawl, children's outfits; as well as hair ornaments, footwear, and other accessories. A lovely collection that offers an authentic glimpse of what well-dressed ladies and youngsters of the Victorian era were wearing, this is a must-have for coloring book fans, costume designers, and cultural historians. 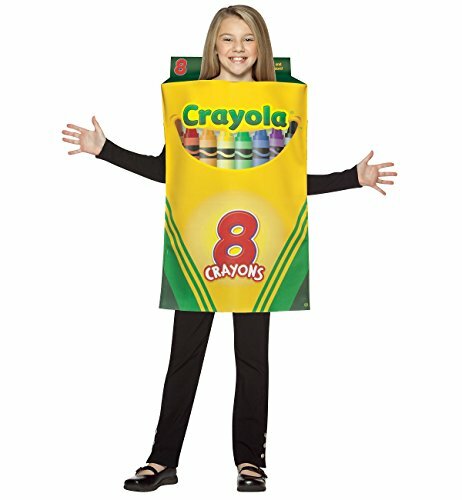 Includes one child's pullover foam-backed fabric tunic in the shape of a Crayola Crayon box. Big Dip O Ruby Red! Includes: Pretty off-the-shoulder dress with straps has a drop waist with a gathered sparkly skirt. Includes a crayon tip hat on a headband. 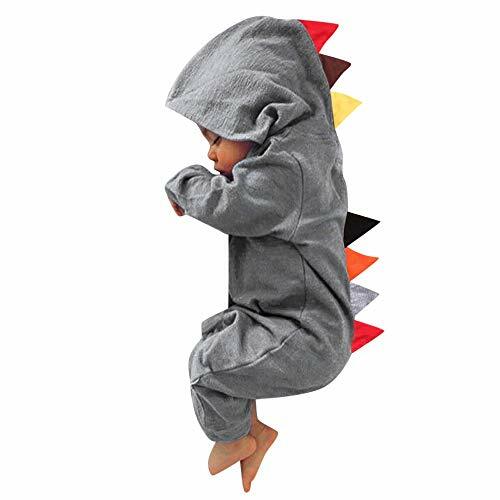 Available size: One size fits most adults 6-10 Shoes are not included. This is an officially licensed Crayola Glitz and Glitter dress. Add a little color to your life! Includes: Pullover tunic with screen print text " Crayola 64 Crayons and Built--In Sharpener" Available size: One size fits most adults Black shirt, pants and shoes are not included. 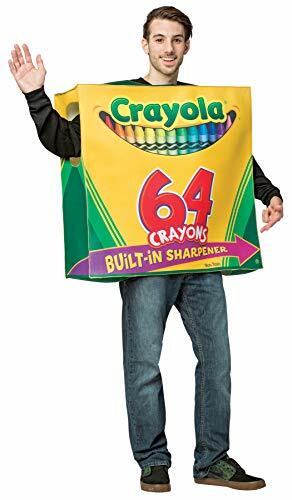 This is an officially licensed Crayola Crayon costume.